The mystery of the cargo of a ship that sank 800 years ago may finally be solved after archaeologists zapped its contents with an ‘x-ray gun’. 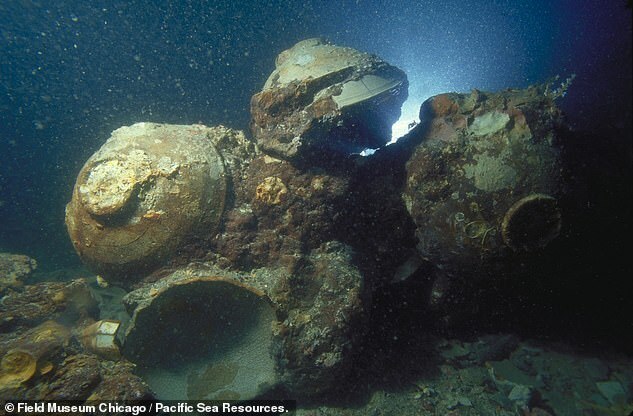 Scientists in the US have been using new handheld portable X-ray fluorescence detector on ceramic bowls from the wreck to identify where they came from. With no written records on the ship, which sank off the coast of Indonesia, little information was known about where it was coming from or went. With their new gadget, scientists from the Field Museum in Chicago were able to pinpoint more precisely where the ceramics were made in southeastern China. Scientists now know that the ceramics came from 2,000 miles (3,200 km) from where the ship sank, which is about the distance from New York to Las Vegas. Traditionally, archaeological artefacts would have been put through X-ray machines to determine their composite makeup.